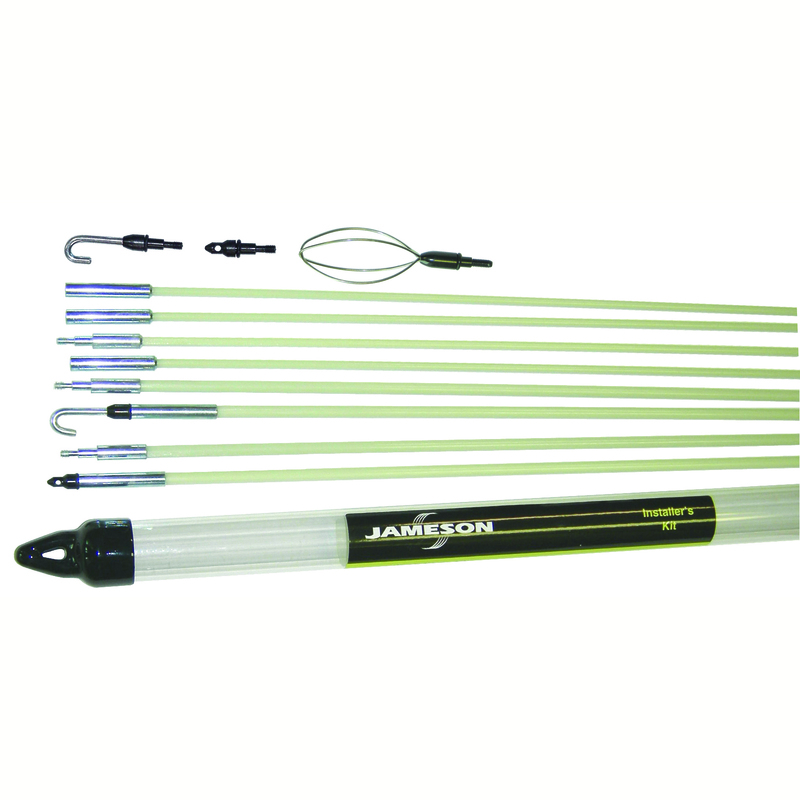 With our proprietary luminescent resin, Jameson is the original manufacturer of fiberglass glow rods. We are proud to present the newly expanded and most comprehensive line of glow rods featuring this technology, along with accessories and all-in-one kits, in the industry. These non-conductive sectional rods are perfect for drop ceilings, attics, floors, walls and crawl spaces. Their high strength and flexibility handle turns easily without breaking. Designed for maximum versatility, threaded sections make it possible to customize rod length to any job and a variety of accessories make it easier to handle any wiring situation. Available in three diameters, all rods feature the same size ferrules so they can be used together in any combination. 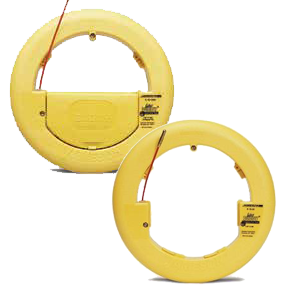 Designed for inside wiring in occupied conduit as small as 1/2", the Wee Buddy's round rod slides easily over existing wires, especially at bends. It has a smooth, non-binding payout and return to canister. The Wee Buddy is available with or without a patented snap on accessory kit. Lightweight, portable unit handles a variety of jobs, easily fishing conduit 3/4” to 1-1/2”. 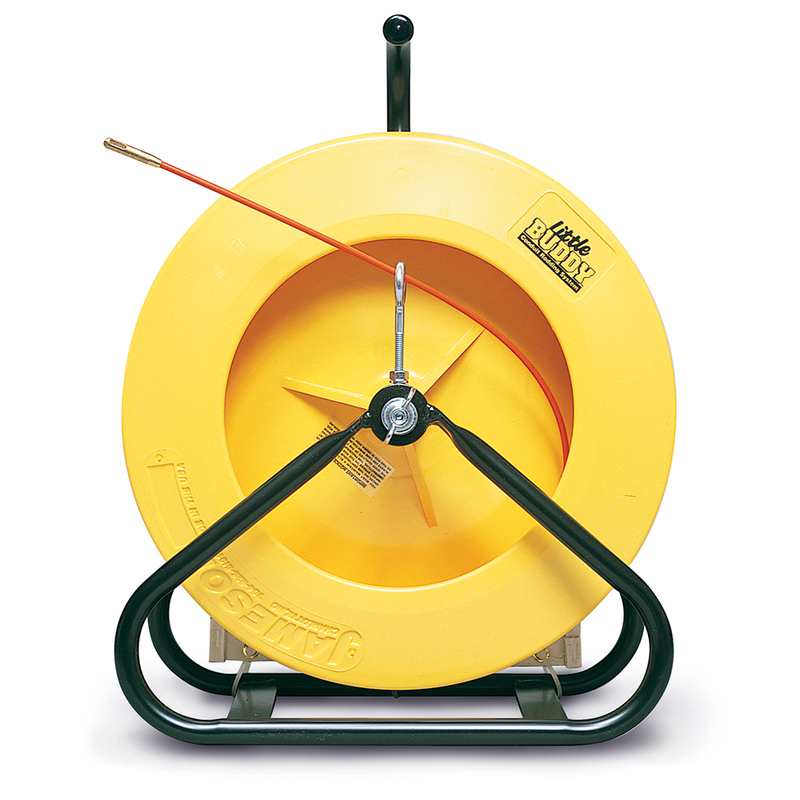 Typically used for running inside and outside conduit drops as well as home drops from the handhole box to a building, some technicians use it for light pole and control wiring or walker ducts. Operates vertically or horizontally and has a drag brake and safety feed eye to control payout.